Valentine’s Day is quickly approaching and I wanted to make some Free Valentine’s Printables to share with you all, FOUR in fact! 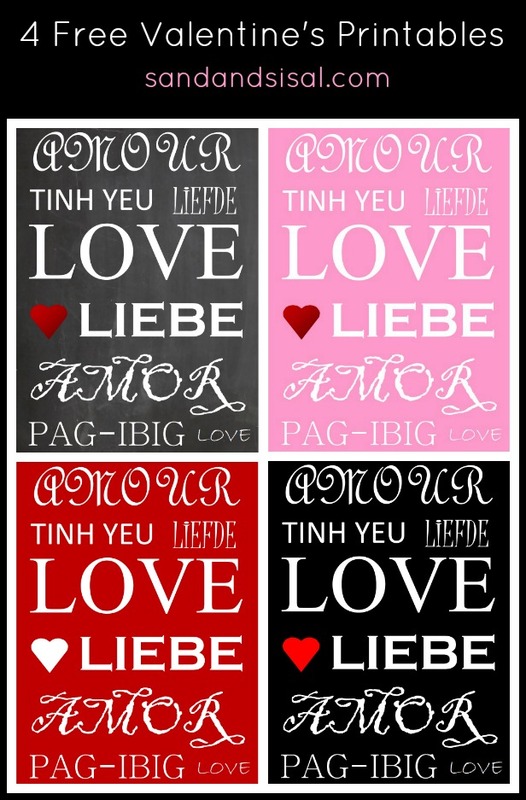 These printables are in lovely fonts and different colored backgrounds. And if you ever wanted to know how to write LOVE in different languages then today’s your day! I created this printable a few years ago for myself. You can see it here in my Fresh and Green Valentine’s Display. These printables for you today are all 5×7″. Trim out the printable and place it in a frame or maybe even make your own Valentine’s Day card with it! Now there’s an idea! I framed mine and placed it in my foyer. Doesn’t that make a cheerful entrance? 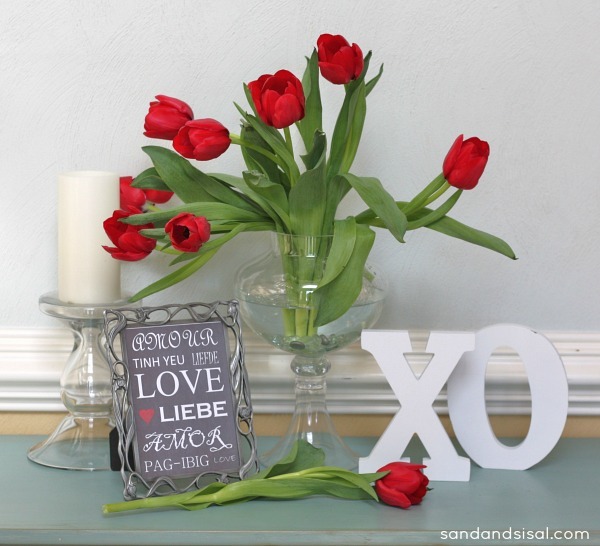 Red roses always seem rather cliche to me for Valentine’s Day, but red tulips are a fresh and fun alternative. I’ve made 4 FREE 5×7″ Valentine’s Printables for you: Chalkboard Background (as shown), Deep Black Background with red heart, Pink Background with red heart, and Red background with white heart. Choose one or all to print out. TO PRINT: Click the desired link below. A new window will open, displaying the PDF file. Click on Print. TIP: Make sure to set your printer settings to Best Quality and I recommend using white card stock paper. 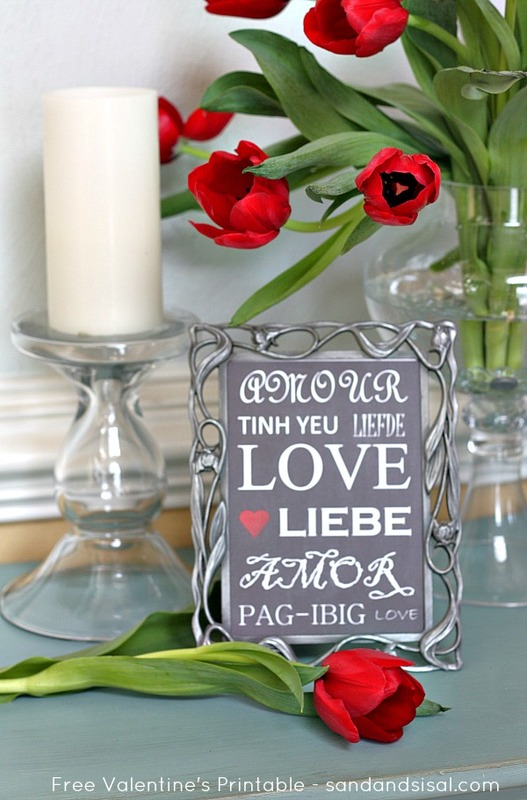 Trim your Valentine printable and frame it! If you liked this Valentine treat then you will love what my friends have for you today also! 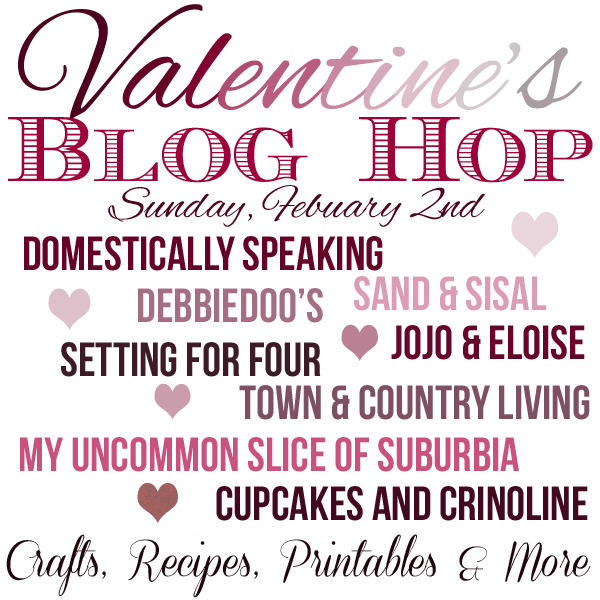 Stop by any of their blogs (links below) for more Valentine crafts, recipes, decor and more! What a sweet idea Kim! Looks pretty too framed. 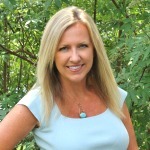 Love the printables Kim, so happy to be partying with you! I love these! You are so generous to offer them ~ thank you!! Super cute Kim! 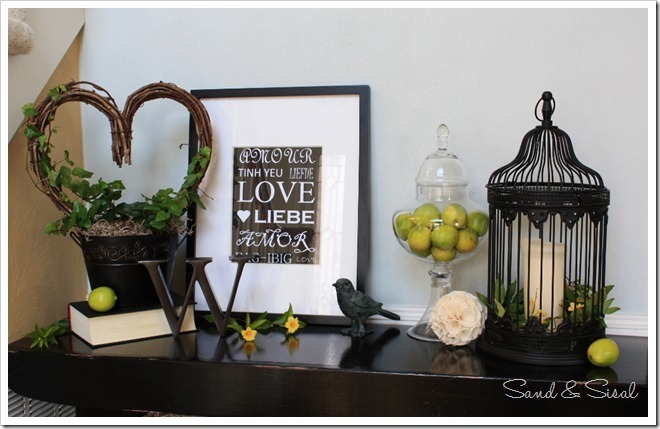 Going to add one to my Valentine decor today… have a great week! Pretty! I love that you used different languages! So So So CUTE!!! I love the combination of colors. Can’t wait to print some out!